Here is what some community members have to say about Colorado Springs Ballot Question 2A and El Paso County Issue 1A. If you would like to join our endorsements page, please click the ‘Endorse Us’ button below. “I am completely opposed to the Stormwater Fee; it really is a tax. Our Mayor, being an attorney loves to play with words. While he was Attorney General for the State of Colorado, the budget for his office increased by 54%. “Is the purpose of Ballot Question 2A to fund the City’s stormwater program, or is it actually to provide an $18 million/year windfall for the Mayor and City Council to use however they wish to do so?” See the rest of Vince Rusinak’s endorsement here. “First I want to say I have the highest respect for the Mayor and all he has done for our City. His collaboration with City Council is a major factor why our economy has grown so significantly since he assumed office just over 2 short years ago. This same economic growth, however, is why, as the head of City Council’s Budget Committee, I cannot support his request for an additional $17M a year from your wallets.” See the rest of Councilman Knight’s endorsement here. It lacks specifics. Will this be outsourced or made into another utility? Where is the cost analysis? Will it be added to your utility bill? If so, why? Its’ unequitable. Developers made large profits but are not paying their fair share. “I was on the City Council budget committee for four years until April 2017 representing southeast Colorado Springs. The population of southeast Colorado Springs is mainly lower income and seniors who can’t afford continued tax and fee increases. City spending is over $500 million yearly. Why do you think three of the four city budget Council members voted not to put the stormwater tax (2A) on the ballot? The fourth City Council member is running for Congress and will want financial backing from developers. This tax is a developer subsidy. Developer land doesn’t pay, though their projects caused the problem. This means “YOU” pay more to support developer agenda. of “bait and switch” tactics. Expect further increases of the fee without taxpayer approval if this ballot measure passes. Don’t be conned by “big money” and progressive agenda. “We allowed them to raise the sales tax to repair the roads, but its never enough for our local Government. However these developers are always looking to reap the rewards at the expense of the citizens of Colorado Springs. Our Mayor might have been a good State Attorney General, but now he has turned into a crony capitalist, just like many in today’s Republican Party. That coupled with a progressive left leaning city council that is trying to turn Colorado Springs into another progressive disaster in the making. 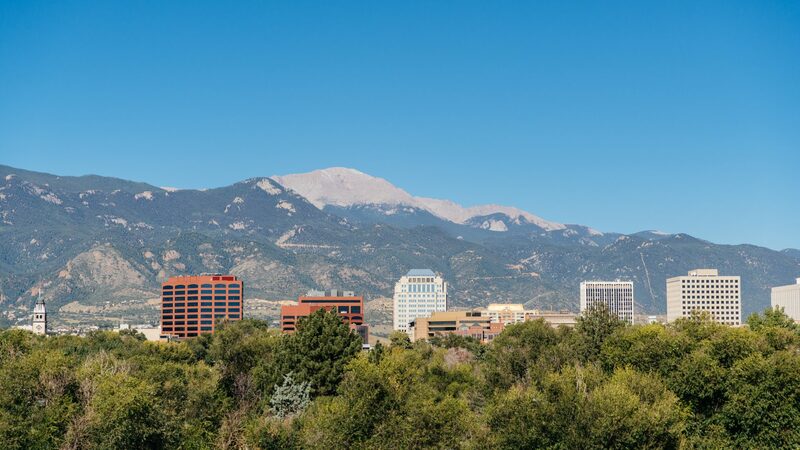 With a city government that will not lay off the bicycle accommodations, and has basically turned Pikes Peak Avenue into a narrow thoroughfare, just so they can be like every other central business district in the country. Who knows what they will use these stormwater fees for once they get it reinstated?